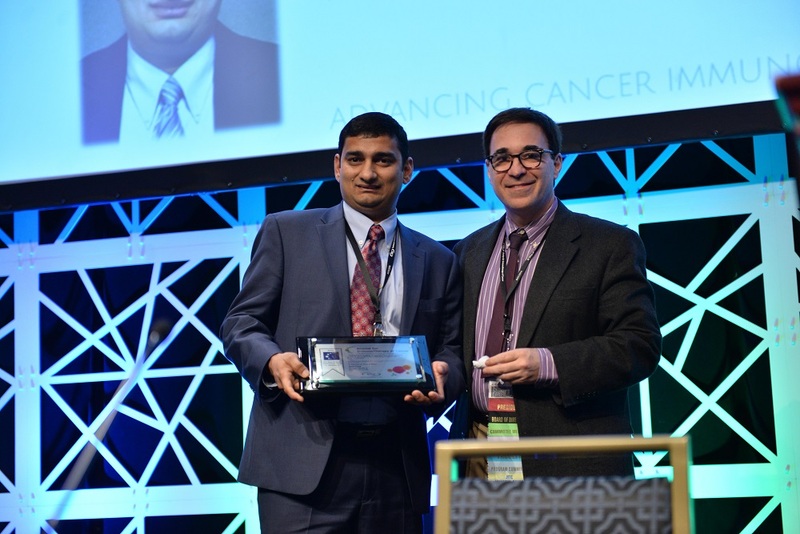 The annual Journal for ImmunoTherapy of Cancer (JITC) best paper awards celebrate excellence in scientific research and are awarded to researchers demonstrating leadership in the field as well as innovation and high-quality execution and discussion in their manuscripts. Papers published in the last 12 months authored by SITC members are eligible for nomination for these awards. Papers nominated in the JITC 2018 Best Clinical/Translational Paper Award category presented clinical research that has a clear potential to optimize patient care, with particular emphasis on high quality randomized control trials, novel combination therapies, novel diagnostic or prognostic insights, and new insights into mechanisms of action. Papers nominated in the JITC 2018 Basic Science Paper Award category presented innovative research in basic medical sciences that had a direct relevance to future research in clinical medicine. Click the years below to view previous recipients of the JITC Best Basic Science Paper and JITC Best Clinical/Translational Science Research Paper awards.